Long-time readers of this blog will not be surprised to hear that animal research has featured prominently in the work for which this year’s winners of the Nobel Prize in Physiology or Medicine are being honoured- Bruce A. Beutler and Jules A. Hoffmann for their for their discoveries concerning the activation of innate immunity, and Ralph M. Steinman for his discovery of the dendritic cell and its role in adaptive immunity. After all animal research played a key role in Nobel winning scientific discoveries and medical advances every year since Speaking of Research was founded, in 2008, 2009 and 2010. 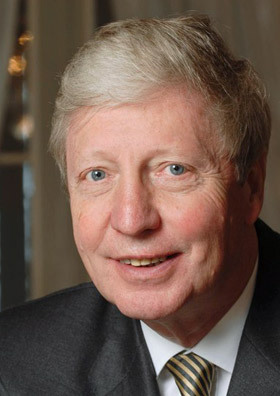 As the Nobel Prize Press release notes Jules A. Hoffmann made his discoveries on the importance of the Toll gene in the innate immune response in 1996 while studying how different gene mutations in the fly Drosophila melanogaster affected its ability to combat fungal infections. The innate immune system includes the processes that enable an organism to respond quickly and non-specifically to infections, and differs from the more familiar adaptive-immune system – typified by the involvement of B- and T-cells – which provides more long-lasting protection that is directed against specific threats. Drosophila melanogaster lacks the adaptive immune system that is found in vertebrates, and is therefore an ideal species in which to study the innate immune system. Bruce A. Beutler’s breakthrough was to show two years later, through research in mice, that a gene very similar to Toll – dubbed the Toll-like receptor – plays a crucial role in the innate immune system of vertebrates, specifically in the response to a substance secreted by bacteria called lipopolysaccharide. Since then a number of Toll-like receptors have been found to play a variety of important roles in the innate immune system. 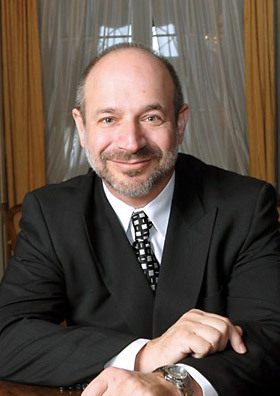 Bruce Beutler. Image courtesy of Mosimann for Balzan. As the Nobel committee notes these discoveries have led to “an explosion of research in innate immunity” both on how it can be harnessed to fight infection, and how excessive innate immune system responses in events such as cytokine storms can be curbed. Ralph Steinman’s prize is in recognition of the discoveries he made working with Zanvil A. Cohn at the Rockefeller University about the other main branch of the immune system, the adaptive immune system. In 1973 he identified a new cell type that he called the dendritic cell in cultured mouse cells, and subsequently demonstrated in live mice that dendritic cells stimulated T-cells to mount a strong immune response. 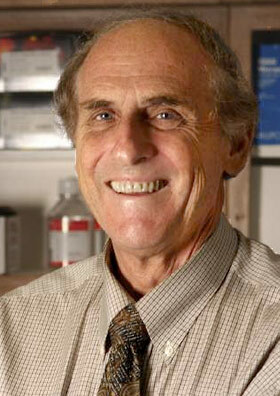 Since then Ralph Steinman has continued to push forward research at the Rockefeller University on the role of dendritic cells in several aspects of the immune response, including graft rejection, resistance to tumors, autoimmune disease and infections, work which has relied heavily on mouse studies. One exciting example of how knowledge of the role played by dendritic cells in the immune system is influencing medical research is in the field of HIV vaccine design, in 2010 researchers at Rockefeller announced that they were starting a clinical trial of a new type of vaccine that seeks out a protein called DEC 205 on the surface of the dendritic cell – originally identified 15 years ago through studies in mice – and then delivers a piece of HIV protein to it, which in turn stimulates the dendritic cell to interact with T-cells to target HIV. This year’s Nobel Prizes once again recognize the value of basic biomedical research in stimulating medical advances, and once more highlight the crucial role played by animal research in making the Nobel-winning discoveries possible. Addendum: We have just learned the sad news that Nobel laureate Ralph Steinman died last Friday 30 September after a four-year battle with pancreatic cancer. We would like to offer his family, friends and colleagues our condolences at this difficult time. Next Next post: Science’s Voices Must be Heard!